Call it a “prebuttal” – a chance for the state GOP to respond to President Barack Obama’s visit to Pennsylvania before it happens. 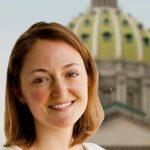 Democratic gubernatorial candidate Tom Wolf is scheduled to appear with Obama in Philadelphia at a rally on Sunday, and Republicans are treating it as an opportunity to make some of the president’s low poll numbers stick to Wolf. Most polls show Wolf has a wide lead over Republican Gov. 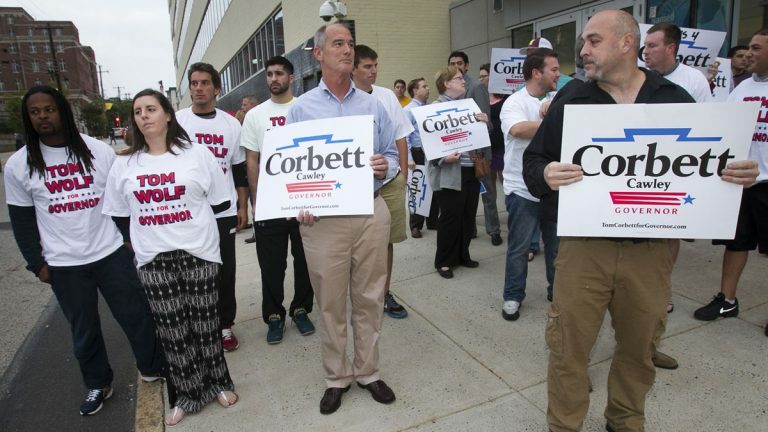 Tom Corbett, but indicate the president is far less popular. Republican U.S. Rep. Scott Perry of York County homed in on Wolf’s proposals to raise certain taxes and his support of the federal health care overhaul. Obama’s visit rounds out a campaign season that’s featured cameos from a bunch of political all-stars. Republican New Jersey Gov. Chris Christie has stumped for Corbett a few times. But the Democrats have leaned heavily on phone-a-friend, with visits from first lady Michelle Obama, former Secretary of State Hillary Clinton, Vice President Joe Biden, and former President Bill Clinton. Republicans have said the string of high-profile stumpers shows the Democrats are nervous about voter turnout on Tuesday. Both parties are bracing for low voter turnout, using absentee ballot applications as their best gauge. Absentee ballot requests are down between 32 and 37 percent this year from the last midterm election in 2010. The decline is fairly evenly distributed between Republicans and Democrats.